We’d love your help. 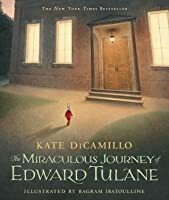 Let us know what’s wrong with this preview of The Miraculous Journey of Edward Tulane by Kate DiCamillo. A timeless tale by the incomparable Kate DiCamillo, complete with stunning full-color plates by Bagram Ibatoulline, honors the enduring power of love. "Someone will come for you, but first you must open your heart. . . ."
Once, in a house on Egypt Street, there lived a china rabbit named Edward Tulane. 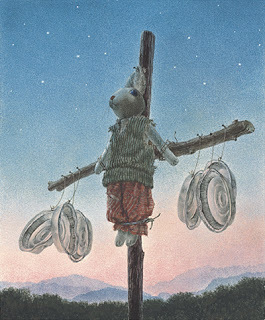 The rabbit was very pleased with himself, and for good reason: he was own A timeless tale by the incomparable Kate DiCamillo, complete with stunning full-color plates by Bagram Ibatoulline, honors the enduring power of love. To ask other readers questions about The Miraculous Journey of Edward Tulane, please sign up. Does the fact that I'm afraid of China dolls affect how I will like this book? ._. Jim Sibigtroth The china rabbit and china dolls in this story are unable to affect humans in any way other than to act as objects of comfort, so I suspect it would…moreThe china rabbit and china dolls in this story are unable to affect humans in any way other than to act as objects of comfort, so I suspect it would be a good story for you. It might even reassure you that china dolls do not pose any threat to you. Leona Marie Try getting it from the library! Believe me, the hard copy experience of this book is not nearly the same as the digital one. Books that Made You Cry! 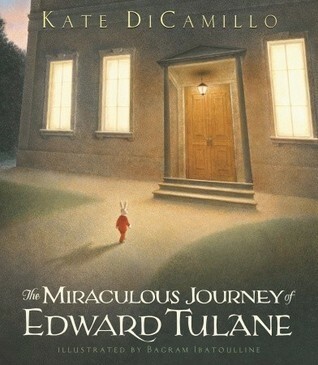 I picked up The Miraculous Journey of Edward Tulane after a high recommendation from a friend on Goodreads. We’d just finished reading and reviewing Because of Winn-Dixie which we loved. I took a chance on it and purchased it from Barnes and Noble to read with my kids. The story begins with Edward Tulane, a China rabbit who belongs to a girl named Abilene. The family is wealthy and not only does Edward have fancy clothes to wear, but he has the love of Abilene as well. She absolutely adores him a I picked up The Miraculous Journey of Edward Tulane after a high recommendation from a friend on Goodreads. We’d just finished reading and reviewing Because of Winn-Dixie which we loved. I took a chance on it and purchased it from Barnes and Noble to read with my kids. The story begins with Edward Tulane, a China rabbit who belongs to a girl named Abilene. The family is wealthy and not only does Edward have fancy clothes to wear, but he has the love of Abilene as well. She absolutely adores him and spends all of her time caring for him. In all, Edward Tulane felt himself to be an exceptional specimen. Only his whiskers gave him pause. They were long and elegant (as they should be), but they were of uncertain origin. Edward felt quite strongly that they were not the whiskers of a rabbit. Whom the whiskers had belonged to initially–what unsavory animal–was a question Edward cold not bear to consider for too long. It isn’t long after that Abilene’s father shares the announcement of a family trip to London. Abilene decides to take Edward of course, but after an incident with some boys on the ship, Edward is stripped of his fancy clothing, thrown overboard, and sinks to the bottom of the dark ocean. Naked and alone, he becomes scared. Feeling a true emotion for the first time, he then begins to question his future. What will happen to poor Edward now? From the very first pages I was pulled into the story. As an adult, I felt many emotions and even had to walk away at one point because I became over emotional in tears. We even laughed at times too. It’s one of those books that you simply can’t put down and my kids kept telling me, “We have to keep going!” It’s written well and the characters are truly unforgettable. Every character has their own story, but often the reader is left to draw their own conclusion which opens up plenty of discussion. When we finally got to the end, we didn’t want it to be over. With that said, I felt weird about the last few chapters at first, but as we finished it all came together. This is a book I could read over and over again–it’s one to keep! What an amazing author to write a book like this. Kate DiCamillo literally captured my heart again and I can’t wait to read all of her other books. She’s become a favorite author and we want to read everything she writes. I honestly question how this book didn’t win awards and wish they’d do a film adaptation. The book is obviously great for any age, but I personally felt like some of the vocabulary seemed a bit advanced for 1st and 2nd graders as the recommended age listed for this book on Amazon is 6-9. There were a few vocabulary words my 4th graders didn’t know. It might be best to brush over the more difficult words before reading. There is a free teaching guide on the author’s website. I’m choosing this book for my October read for the Ultimate Reading Challenge. One of my favorite tropes is when a character learns about the power of love and I feel this book is a great example. I’d recommend this book to anyone. Over the top 5-stars! JV ❄️☃️❄️ Mischenko wrote: "JV wrote: "Excellent review, Mischenko! 🥰 Currently reading this one and so far, I'm loving it although it's breaking my heart 😢"
Tha Mischenko wrote: "JV wrote: "Excellent review, Mischenko! 🥰 Currently reading this one and so far, I'm loving it although it's breaking my heart 😢"
Thanks, JV! I'm glad you are loving it. It does have it's emotiona..."
Mischenko JV wrote: "Mischenko wrote: "JV wrote: "Excellent review, Mischenko! 🥰 Currently reading this one and so far, I'm loving it although it's breaking my JV wrote: "Mischenko wrote: "JV wrote: "Excellent review, Mischenko! 🥰 Currently reading this one and so far, I'm loving it although it's breaking my heart 😢"
Thanks, JV! I'm glad you are loving it. It does ..."
"It is a horrible, terrible thing, the worst thing, to watch somebody you love die right in front of you and not be able to do nothing about it." Once upon a time, there was a poignant and philosophical tale about a solipsistic, egocentric china rabbit named Edward Tulane. The rabbit was loved by a little girl named Abilene. Albeit loved by his owner, he was incapable of loving others. One day, he was magically cursed by Pellegrina, the girl's grandmother who gifted her the narcissistic bunny. Once upon a time, there was a poignant and philosophical tale about a solipsistic, egocentric china rabbit named Edward Tulane. The rabbit was loved by a little girl named Abilene. Albeit loved by his owner, he was incapable of loving others. One day, he was magically cursed by Pellegrina, the girl's grandmother who gifted her the narcissistic bunny. And so begins a miraculous journey full of deep dejections, pervasive melancholy, irrepressible yearning, and finally, finding true love once again. "Open your heart. Someone will come. Someone will come for you. But first you must open your heart." "How many times, Edward wondered, would he have to leave without getting the chance to say goodbye?" "Edward knew what it was like to say over and over again the names of those you had left behind. He knew what it was like to miss someone." Once, there was a story — an extraordinary tour de force that broke and mended one's heart with the transformative power of unconditional and boundless love filled with sanguine hope. An author, by the name of Kate DiCamillo, penned an unforgettable narrative laden with fundamental themes, lyrical language, and masterful storytelling and thoroughly supplemented with splendid artwork painted by a wondrous illustrator named Bagram Ibatoulline — together, they created a breathtaking yet simple, imaginative story that warmed the hearts of adults and children alike. "The heart breaks and breaks and lives by breaking. It is necessary to go through dark and deeper dark and not to turn." I haven’t read a novel I absolutely loved from the very first sentence in a long time. I always say I have, probably because I want to believe that (and anyway, we all do it), but not every book is great and not every great book is exceptional. I want exceptional. Give me exceptional. 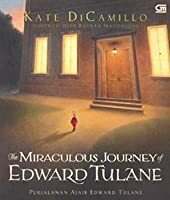 Kate DiCamillo’s The Miraculous Journey of Edward Tulane is just that. It tells the story of little china bunny Edward Tulane who knows not what love means. He is loved by a little girl, and yet, he doesn’t care. H I haven’t read a novel I absolutely loved from the very first sentence in a long time. I always say I have, probably because I want to believe that (and anyway, we all do it), but not every book is great and not every great book is exceptional. I want exceptional. Give me exceptional. Kate DiCamillo’s The Miraculous Journey of Edward Tulane is just that. It tells the story of little china bunny Edward Tulane who knows not what love means. He is loved by a little girl, and yet, he doesn’t care. He’s self-centered and vain. But little Edward Tulane will discover what love means the way we all do: through loss… through life. The writing is simply delightfully lyrical. Is lyrical writing always delightful? Not quite, sometimes it doesn’t work. One must master the technique fairly well to pull it off. I used to think children’s books were so, so easy to write (‘‘anyone could write them!’’) but now that I’ve read a hundred of them and more, I realize that is not the case. Otherwise they would all be bestsellers. This is, without a single, lonely doubt, my most favourite Kate DiCamillo book. It’s also the one with the highest ratings on Goodreads, so I’m happy to see other people were positively, beautifully affected by this novel like I was. I think Kate DiCamillo can do no wrong, but she really surpassed herself with this one. I looked forward to reading this book because, as the review on goodreads of Edward Tulane says, Kate DiCamillo is an incomparable children's author, and I have loved and cried over The Tale of Despereaux and The Tiger Rising in the middle of the Borders Cafe before. Edward's journey is miraculous in that the little china rabbit from which the book gets its name learns to love out of his many losses, which starts with losing his straw hat and ends with losing his hardened heart. Take the velvete I looked forward to reading this book because, as the review on goodreads of Edward Tulane says, Kate DiCamillo is an incomparable children's author, and I have loved and cried over The Tale of Despereaux and The Tiger Rising in the middle of the Borders Cafe before. Edward's journey is miraculous in that the little china rabbit from which the book gets its name learns to love out of his many losses, which starts with losing his straw hat and ends with losing his hardened heart. Take the velveteen rabbit, make him more fragile by making him the China rabbit, put in Kate DiCamillo's voice behind every word, and you have a new classic for children. "I'm done with being loved," Edward told her. "I'm done with loving. It's too painful." . . .
"Open your heart," she said gently. "Someone will come. Someone will come for you. But first you must open your heart." The door closed. The sunlight disappeared. Edward's heart stirred. He thought, for the first time in a long time, of the house on Egypt Street and of Abilene winding his watch and then bending toward him and placing it on his left leg, saying, "I will come home to you." No, no, he told himself. Don't believe it. Don't let yourself believe it. The China rabbit's heart had begun, again, to open. What a beautiful story. I read it with my 8 year old daughter and more than once it brought a tear to my eye. It is the story of Edward Tulane, the china rabbit, who while passing from owner to owner (companions really, as he comes to love them) endures great love and great tragedy. He learns that no matter what happens in life it is most important to open your heart....let yourself love and be loved. I was just trapped underground on a backed up metro train for an hour. Never have I minded, or noticed, a terrible commute less. Well-written, beautiful, and somber. This is the story of a china rabbit who learns the true meaning of love. I read this book out loud to my class and truly enjoyed the masterful way that Kate DiCamillo crafts a story. Her word choice and sentence fluency found its way into my writing lesson plans to illustrate some of the possibilities waiting to be found in words. Would I read it aloud again? Perhaps with older students. My class LOVED this story but it was sad, extremely sad in places. I fou Well-written, beautiful, and somber. This is the story of a china rabbit who learns the true meaning of love. I read this book out loud to my class and truly enjoyed the masterful way that Kate DiCamillo crafts a story. Her word choice and sentence fluency found its way into my writing lesson plans to illustrate some of the possibilities waiting to be found in words. While sitting in Washington Square Park reading my Moomins novel while on a mini-lunch break I wondered about the recurring use of sadness and melancholy in the book. Do American children books usually refer to the the joys of a sweet melancholy feeling at the lose of something good that will never return? How do children relate to depressed characters? Do they even notice it? Why aren't more children books filled with melancholy, and not in a humorous way? While the sun beat down on my bench, a While sitting in Washington Square Park reading my Moomins novel while on a mini-lunch break I wondered about the recurring use of sadness and melancholy in the book. Do American children books usually refer to the the joys of a sweet melancholy feeling at the lose of something good that will never return? How do children relate to depressed characters? Do they even notice it? Why aren't more children books filled with melancholy, and not in a humorous way? While the sun beat down on my bench, and the film crew near the fountain apparently were also on lunch from filming what looked like a 'dancing in the streets' movie, and the girl sitting the next bench over was losing in a battle of wits against a pigeon who was not going to be fooled into giving up the cracker she dropped I thought about these things. Then I came home and read this book. This book is to the Moomins as finding yourself laying in bed staring at the ceiling at 3am realizing that half your life is over all the good things are past and only pain and regret are ahead of you and having a slightly sad tinged memory of a something wonderful in the past that you will never be able to return to. There is something devastating about this story, and the whole format of the book, from the typesetting and font used to the color of the pages used in the book and the illustrations all work in a harmony to create this strong affect. This story reminded me of "The Velveteen Rabbit". A little less magical, perhaps, but I appreciated the story of a rabbit who, instead of starting out full of love, learns to love and be loved until at the end of the story, he comes full circle. Easy reading, and could be a good one for reading out loud. This is one of those eternally relevant children's stories, that can be read by all ages throughout all of time. In fact, it should be read by all. I'm only now discovering this tale at the age of 28 and just know that if my younger self had managed to get her hands on it, it would have become a firm, forever favourite. The reader travels with a china rabbit named Edward Tulane through, as the synopsis states, "the depths of the ocean to the net of a fisherman, from the bedside of an ailing child This is one of those eternally relevant children's stories, that can be read by all ages throughout all of time. In fact, it should be read by all. I'm only now discovering this tale at the age of 28 and just know that if my younger self had managed to get her hands on it, it would have become a firm, forever favourite. The reader travels with a china rabbit named Edward Tulane through, as the synopsis states, "the depths of the ocean to the net of a fisherman, from the bedside of an ailing child to the bustling streets of Memphis". Edward, over the course of his adventures, learns what love is about, and as he fell in love with all his many owners, I fell in love with him and his story. Nói chung tôi đã sai lầm. Sai lầm lớn nhất là bây giờ mới đọc câu chuyện kỳ diệu về chú thỏ Edward. Đó là hành trình của chú đi tìm thương yêu và cảm xúc, cũng là chuyến đi qua bao nhiêu số phận chìm nổi cay đắng của con người. Tôi không cho rằng đây là một cuốn sách dành cho thiếu nhi, không, bởi thiếu nhi nếu đọc chưa chắc đã cảm nhận hết được vẻ đẹp của cuốn sách này. Tôi nằm đọc một mạch, và khi gấp trang cuối lại, tôi mới dám "thở" - tức là cuốn sách đã lôi cuốn tôi đến mức ấy. Một câu chuyện đẹp. Bình dị, cảm động, và rất nhiều khúc quanh. Nhưng có ai tinh ý không, phần lớn họ là những người cô độc. Những người cô độc đến với nhau, trò chuyện với nhau, rồi gắn kết với nhau. Giữa người và một con thỏ sứ vô tri, nhưng vẫn có một sự kết nối âm thầm. Đó là tình cảm, trái tim và mất mát. Rất nhiều người nên đọc cuốn sách. tôi không có thói quen spoil nên phải tự tìm hiểu xem truyện đẹp đến thế nào thôi! I think this book is stunning. It tells the story of a china rabbit named Edward, who is nothing more than a toy in the beginning. A much-loved toy, but he doesn't seem capable of any feeling himself, other than annoyance when he is not treated as he thinks he deserves to be treated. I really did not like Edward at first, he was just so cold-hearted! But this book is about growth. The journey is both actual and metaphysical. During his wanderings Edward has many experiences which teach him about I think this book is stunning. It tells the story of a china rabbit named Edward, who is nothing more than a toy in the beginning. A much-loved toy, but he doesn't seem capable of any feeling himself, other than annoyance when he is not treated as he thinks he deserves to be treated. I really did not like Edward at first, he was just so cold-hearted! But this book is about growth. The journey is both actual and metaphysical. During his wanderings Edward has many experiences which teach him about friendship, love, hope and happiness: he spends time with an adorable old woman and her husband, then with a hobo, then with a little girl who is ill but who cuddles him like a baby and melts his heart. The transitions between each stage of the journey are difficult for Edward, but he does finally arrive exactly where he belongs, in a perfect misty-eyed ending that I should have expected but didn't. I thought this was a simple story about love. I was wrong about it being simple, because it showed how complicated life and love really were. It was touching, it was classic, it was.. very heartbreaking. The first book to get me teary-eyed one of these days. This is such a beautiful book, I remember reading it as a child and not quite understanding it's meaning, but I still enjoyed it. It is a book seemingly meant for children, but reading between the lines of this story is what really pulls your heart strings. I could read it over and over again. I have to say that I am quite fond of Kate DiCamillo's writing, and Maggie and I very much enjoyed reading this book together. Oh, but it was exquisitely and simultaneously joyful and sad. Maggie even asked me later last night, after we had finished the book and she was getting ready to brush her teeth, "Why do people write about sad things, Mom?" Ah - innocence slips away in small parcels. Then again, when I read her The Velveteen Rabbit, B actually came running into the room to find out what w I have to say that I am quite fond of Kate DiCamillo's writing, and Maggie and I very much enjoyed reading this book together. Oh, but it was exquisitely and simultaneously joyful and sad. Maggie even asked me later last night, after we had finished the book and she was getting ready to brush her teeth, "Why do people write about sad things, Mom?" Ah - innocence slips away in small parcels. Then again, when I read her The Velveteen Rabbit, B actually came running into the room to find out what was the matter because she was so distraught. This equally touching story of a china rabbit is affecting. There is a wonderfully taught fairy tale in the midst of the story, and DiCamillo does not hesitate to leave sadness hanging in the air, strings untied, mean circumstances uncured, and yet somehow comes around to a happy ending. This is the harrowing tale of a china rabbit doll who is separated from his young owner and undergoes a series of harrowing adventures over a number of years before finding a happy resolution. Left to myself, I would put it alongside Black Beauty or Lassie Come Home, tales of animals who endure extended abuse, hardship and/or neglect before being reunited with owners who love them. When I read those stories in my distant youth, they spoke to me. Now, I fear, if I re-read them, I might suspect tha This is the harrowing tale of a china rabbit doll who is separated from his young owner and undergoes a series of harrowing adventures over a number of years before finding a happy resolution. When I read those stories in my distant youth, they spoke to me. Now, I fear, if I re-read them, I might suspect that the author was deliberately playing with my emotions. Even though I know that authors, do exactly that to make a point. What charmed me about this book was having it read to me in 20 minute segments at night by one of my grand children. And seeing how the book spoke to her much-less-jaded heart, and how she rejoiced in the ending. And hearing the beauty of the 'story telling voice' in this book that does not shrink from a sophisticated vocabulary in choosing the right word over the simpler word. I LOVED this sweet, meaningful story so much that as soon as I finished the library's audio version (which is VERY well done) I purchased the hardbound copy for my own library! Edward Tulane is quite the dapper china rabbit, and he knows it. He's loved dearly by Abilene, the little girl who owns and cares for him so carefully, but he has a heart as cold as the china he's made from and loves only himself. Then he abruptly loses his privileged life and finds himself adrift in the real world where he must adapt and survive with help from the diverse and memorable people who cross his path. Along the way, Edward is brought low by circumstances, but he learns humility, how to survive, and eventually how to find his way home. Although this may have been written for younger readers I believe it will be enjoyed by people of all ages. If you don't cry at some point you're as heartless as Edward is in the beginning. However, despite the tears, you will be left with a happy ending. I have to admit that I bawled like a baby when I finished this book, a modern classic. This is a WONDERFUL, worthy read, the story will touch your heart, and the illustrations are lovely. Kate DiCamillo is also the author of The Tale of Despereaux, Because of Winn Dixie and over a dozen other books. I just finished the audio version and my second time through this modern parable about learning to love. Below is my original review and it still stands. I can be quite a senimental sap at times and I have not cried this hard for joys mingled with regrets since The Last Battle by C.S. LewisThe Chronicles of Narnia. I read this book aloud with my 7 yr old son. I think Kate DiCamillo is a special writer because she can write about china rabbits being loved by little girls A miraculous journey, indeed. I read this book aloud with my 7 yr old son. I think Kate DiCamillo is a special writer because she can write about china rabbits being loved by little girls and my son shifts quickly from soft pillow to sitting up rapt waiting for what comes next. I cannot wait to read another of her books. I was in rapt attention myself. This is the story of a china rabbit who is loved by a little girl named Abilene. Edward is well-dressed, has his own pocket watch, gets to sit at the table with the family and thinks quite a lot of himself. He was purchased for Abilene by her grandmother, Pellegrina. One night Pellegrina tells Abilene a story about a princess that is quite full of herself and who is not interested in loving others. The message is not lost on Edward, especially when the woman leans over his bed and says to him "You disappoint me." Fate takes Edward in and out of the lives of many who love him and slowly but surely he begins to understand what Pellegrina was alluding to with her story so long ago. I cried again, when I told my husband all about it. This was a really great book. The illustrations were lovely as well and really captured the quiet, endearing, enduring feel of this book. I first read a library copy of this book several years ago to my oldest son, after it was recommended to me by my sister-in-law and having previously read Kate DiCamillo's Mercy Watson series for beginning readers as well as The Tale of Despereaux. Recently, I picked up a copy of this book along with The Magician's Elephant, yet another gem by the same author, to have at home for the kiddos. In between books, I decided to re-read The Miraculous Journey of Edward Tulane while doing my morning walk I first read a library copy of this book several years ago to my oldest son, after it was recommended to me by my sister-in-law and having previously read Kate DiCamillo's Mercy Watson series for beginning readers as well as The Tale of Despereaux. In between books, I decided to re-read The Miraculous Journey of Edward Tulane while doing my morning walk on the treadmill. And once again I am in awe of Kate DiCamillo. Her stories are timeless, beautifully written, magical and filled with memorable moments and memorable characters. I never review children's books, though I read aloud no less than three a day. This whopper of a book was 200 pages of masterful writing with gorgeous illustrations. I loved everything about this perfect story of a lost toy but what I loved the most was the intricate way that the language of this story was handled. The rabbit thought quite a lot of himself and that was evident in his choice of words...you could read how he felt about himself in the things he said and the way he said them. The la I never review children's books, though I read aloud no less than three a day. This whopper of a book was 200 pages of masterful writing with gorgeous illustrations. I loved everything about this perfect story of a lost toy but what I loved the most was the intricate way that the language of this story was handled. The rabbit thought quite a lot of himself and that was evident in his choice of words...you could read how he felt about himself in the things he said and the way he said them. The language was a little high for children but made the story so enjoyable for the reader. What a sweet and tender journey! Edward is a china rabbit, and is quite stuck-up at that. Isn't it interesting how we often take things for granted until they're gone? Edward doesn't realize how good his life is until he isn't living it anymore. In an adventure through all walks of life, Edward learns some very important lessons and values that just might help him to grow a true heart. I adore the illustrations and the words captivated me. Although this is a children's book, my emotions were tap What a sweet and tender journey! Edward is a china rabbit, and is quite stuck-up at that. Isn't it interesting how we often take things for granted until they're gone? Edward doesn't realize how good his life is until he isn't living it anymore. In an adventure through all walks of life, Edward learns some very important lessons and values that just might help him to grow a true heart. Edward is sort of like a narcissistic Velveteen Rabbit, unlikeable at the best of times, but when his life turns upside-down he finds himself in a world of sadness and confusion... the only world with true friends, the only world where he can learn the meaning and power of love. This is a book that every child (and adult for that matter!) should get the chance to read, and with its vivid full-color illustrations it really stands out among other children's stories. I'm not a crier when it comes to books... but this one nearly had me in tears by the end. My mom read this one herself years ago, long before I'd discovered Kate DiCamillo's books. She enjoyed it, and I sort of filed that information away, along with a vague notion that I should one day give this book a try. Now that I've read it, I really wish I hadn't waited so long. It's probably one of the best reads I've had all year. DiCamillo has this way of writing for kids that challenges them and respect I'm not a crier when it comes to books... but this one nearly had me in tears by the end. DiCamillo has this way of writing for kids that challenges them and respects them as intelligent readers. She's not afraid to use big words or deep concepts. That's the case here, as well, with the story of a proud, somewhat-vain china rabbit who finds himself lost. Throughout his journey, he meets friends and enemies, and all the while he grows as a... well, not a person, but as an intelligent being. He learns to love, only to lose hope when he's separated from the ones he loves over and over again. But, eventually, the love returns, completing the miraculous journey that's just as internal as it is about travelling in the world. In some ways, this seems like a fairy tale. In other ways, I was reminded of stories like The Velveteen Rabbit, with the theme of a toy being loved so much that it eventually becomes real. Edward was always "real", though; his journey had more to do with being his best rabbit self. The illustrations are the perfect complement to the gentle story. Some are monochromatic, and others are in full colour, but each one helps Edward's world come alive in the mind of the reader. I don't know if I can recommend this one enough. It's a great middle-grade read, as it's not too long, but it's perfectly suitable for older readers (including adults) as well. Kate DiCamillo has yet to disappoint me. Edward hung by his velvet ears and looked up at the night sky. He saw the stars. But for the first time in his life, he looked at them and felt no comfort. Instead, he felt mocked. You are down there alone, the stars seemed to say to him. And we are up here, in our constellations, together. I have been loved, Edward told the stars. So? said the stars. What difference does that make when you are all alone now? Nhân vật chính là chú thỏ sứ đồ chơi tuyệt đẹp, bằng những trải nghiệm và biến đổi tinh tế trong tình cảm và suy nghĩ đã dẫn dắt người đọc qua hành trình đầy cảm động đi tìm tình yêu - khởi đầu từ việc chỉ biết nhận tình yêu từ người khác và coi đó là hiển nhiên tất yếu, đến lúc mất rồi mới bắt đầu thấy quý giá, bắt đầu học lắng nghe và quan tâm, buồn khổ khi phải rời xa người thân yêu mà không thể nói lời tạm biệt, mở rộng trái tim với những người xa lạ, cảm giác bất lực khi không thể giúp đỡ n Nhân vật chính là chú thỏ sứ đồ chơi tuyệt đẹp, bằng những trải nghiệm và biến đổi tinh tế trong tình cảm và suy nghĩ đã dẫn dắt người đọc qua hành trình đầy cảm động đi tìm tình yêu - khởi đầu từ việc chỉ biết nhận tình yêu từ người khác và coi đó là hiển nhiên tất yếu, đến lúc mất rồi mới bắt đầu thấy quý giá, bắt đầu học lắng nghe và quan tâm, buồn khổ khi phải rời xa người thân yêu mà không thể nói lời tạm biệt, mở rộng trái tim với những người xa lạ, cảm giác bất lực khi không thể giúp đỡ người bên cạnh, tan nát cõi lòng khi phải nhìn người thân yêu mất đi, mệt mỏi tuyệt vọng vì chia ly và đơn độc, học cách yêu thương một lần nữa - đó là hành trình của tất cả mọi người, không chừa một ai. Dõi theo câu chuyện, tôi dường như thấy được mình ở trong đó. Truyện không chỉ cuốn hút mà còn có hình minh hoạ tuyệt đẹp. Tiếc là không được đọc quyển này hồi còn nhỏ, vì hồi mình còn nhỏ thì quyển này chưa được dịch, mà khi ấy chẳng đọc được gì ngoài tiếng Việt, cũng như không thể có nguồn sách nào khác các nhà xuất bản trong nước, nếu được đọc từ cái hồi xa xưa ấy thì ấn tượng về nó hẳn rất sâu đậm và ấn tượng ấy xứng đáng cho 5*, như ấn tượng khi mình đọc những quyển Những vì sao (của A. Daudet), Những tấm lòng cao cả (de Amicis) hay Đảo giấu vàng (Treasure Island) của R. L. Stevenson hoặc Robinson Crusoe (Danie Tiếc là không được đọc quyển này hồi còn nhỏ, vì hồi mình còn nhỏ thì quyển này chưa được dịch, mà khi ấy chẳng đọc được gì ngoài tiếng Việt, cũng như không thể có nguồn sách nào khác các nhà xuất bản trong nước, nếu được đọc từ cái hồi xa xưa ấy thì ấn tượng về nó hẳn rất sâu đậm và ấn tượng ấy xứng đáng cho 5*, như ấn tượng khi mình đọc những quyển Những vì sao (của A. Daudet), Những tấm lòng cao cả (de Amicis) hay Đảo giấu vàng (Treasure Island) của R. L. Stevenson hoặc Robinson Crusoe (Daniel Defoe), nhưng như đã nói mình chỉ đọc quyển này khi không còn nhỏ nên chỉ có thể cho 4+* thôi. Đây đúng là câu chuyện phiêu lưu kỳ diệu, với những diễn biến đầy bất ngờ không thể đoán định trước, khởi đầu có lẽ bằng câu chuyện đầy bất thường của người bà kể cho cô cháu gái, cô chủ nhỏ của con thỏ bằng sứ - nhân vật chính của truyện, trước chuyến viễn dương đến những cuộc phiêu lưu đầy gian truân, hiểm nguy của chú thỏ sứ đưa chú từ thế giới dưới đáy biển sâu qua thế giới của bãi rác, đến với cặp vợ chồng già cuối đời, anh em cậu bé nghèo khổ, hay những người lang thang để rồi về nằm trên giá của một cửa hiệu mua bán (+ sửa chữa) những đồ chơi cũ. Chú thỏ sứ trong chuyện đúng là một chú thỏ đồ chơi thật sự, theo ý nghĩa tác giả không để cho chú tự đi lại như trong tình huống của những câu chuyện giả tưởng khác, kiểu như Toy Story hoặc một vài chuyện khác. Nhưng tuy không tự mình đi lại được, chú đã có những cuộc phiêu lưu thực sự, đầy gian truân, nguy hiểm. Khởi đầu là một chú thỏ có tri giác (có thể hiểu như chú biết suy nghĩ, có ý thức của một bộ não) nhưng thiếu một trái tim với những cảm xúc yêu thương, dần dần chú đã học được ý nghĩa của việc được yêu thương và đáp trả tình yêu thương bằng tình yêu thương của chính mình đối với những người thân thiết, chú đã hoàn thiện nhân cách bằng việc kết hợp bộ não và trái tim. Kết cục chuyện đầy bất ngờ, nhưng cũng đầy xúc động khiến tim ta như muốn thắt lại, khi một cô bé, con của cô chủ nhỏ xa xưa, cùng mẹ vào cửa hàng đồ chơi và cô bé chọn ngay chú thỏ sứ chứ không chọn thứ đồ chơi búp bê nào khác, và người mẹ trẻ, chính là cô chủ nhỏ ngày nào, đã nhận ra chú thỏ sứ yêu quý ngày xưa của mình sau bao nhiêu năm. Kate DiCamillo, the newly named National Ambassador for Young People’s Literature for 2014–2015, says about stories, “When we read together, we connect. Together, we see the world. Together, we see one another.” Born in Philadelphia, the author lives in Minneapolis, where she faithfully writes two pages a day, five days a week. Kate DiCamillo's own journey is something of a dream come true. After Kate DiCamillo, the newly named National Ambassador for Young People’s Literature for 2014–2015, says about stories, “When we read together, we connect. Together, we see the world. Together, we see one another.” Born in Philadelphia, the author lives in Minneapolis, where she faithfully writes two pages a day, five days a week. Kate DiCamillo's own journey is something of a dream come true. After moving to Minnesota from Florida in her twenties, homesickness and a bitter winter helped inspire Because of Winn-Dixie - her first published novel, which, remarkably, became a runaway bestseller and snapped up a Newbery Honor. "After the Newbery committee called me, I spent the whole day walking into walls," she says. "I was stunned. And very, very happy." Her second novel, The Tiger Rising, went on to become a National Book Award Finalist. Since then, the master storyteller has written for a wide range of ages, including two comical early-chapter-book series - Mercy Watson, which stars a "porcine wonder" with an obsession for buttered toast, and Bink & Gollie, which celebrates the tall and short of a marvelous friendship - as well as a luminous holiday picture book, Great Joy.